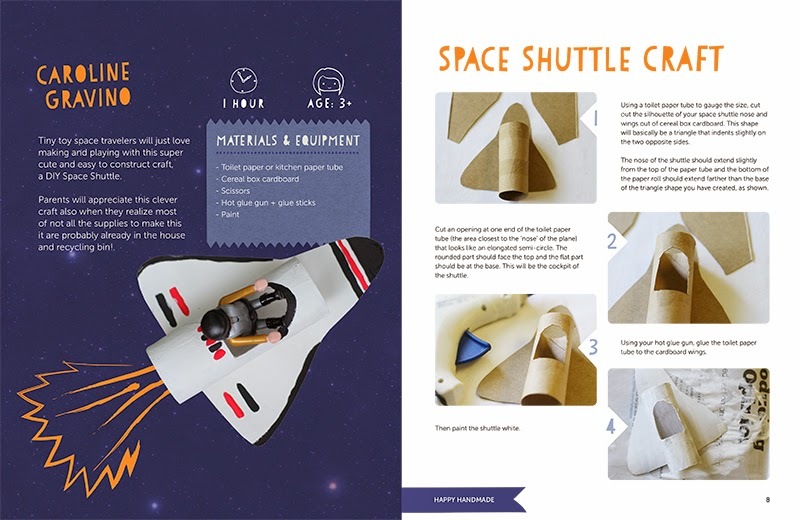 Today’s Cardboard Tube Space Shuttle craft comes straight out of the Happy Handmade Book that I received for free from my friend Leslie from Pink Stripey Socks in order to provide an honest review of the craft e-book she contributed to. After our U is for Universe activity we have been in an outer space kind of mood so we chose to make the Cardboard Tube Space Shuttles. I loved how easy they were to make, and used all recycled supplies (cardboard tubes and cereal boxes). I quickly cut out our space shuttle frames and pulled out some toilet paper rolls. Then we painted our shuttles and headed off to the grocery store. When we returned we decorated them and started playing. My daughter is determined to fly into space when she gets older…my little astronaut in training :). Straight from the Happy Handmade Book. Don’t forget to read our book review below and find out how to get your own copy of this fabulous book! Happy Handmade is in e-book format so all you have to do is purchase, download, and you’re ready to craft. This means it’s a PDF document that reads like a fabulous craft book. The best part is you don’t have to find a spot on the book shelf to store it! When we started looking for a craft to try out it was hard to chose which one. My daughter literally decided she wanted to do all of them. The nice thing is that we can do them all without having to run to the craft store because the list of supplies includes typical craft and recycled supplies (cardboard tubes, socks, shoe boxes, and plastic bottles to name a few). 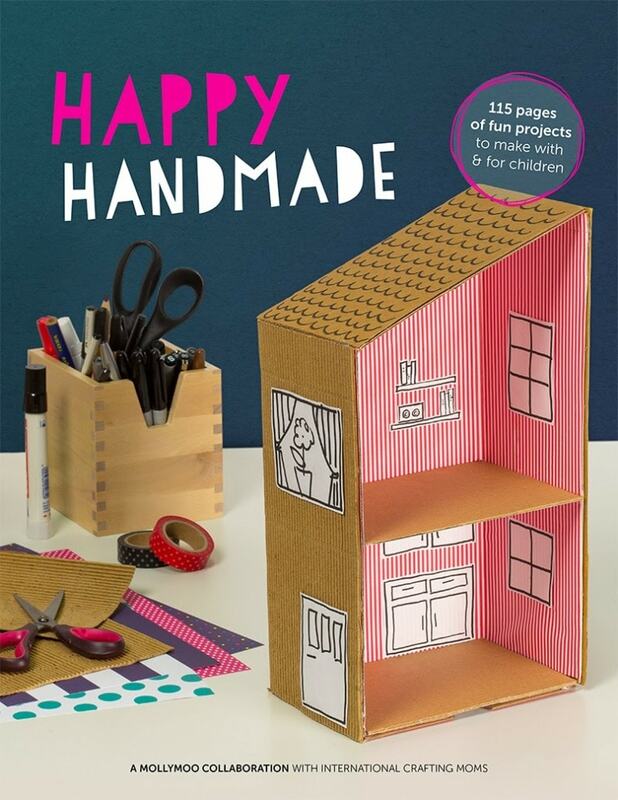 Happy Handmade is beautifully designed with helpful step-by-step photos and directions. 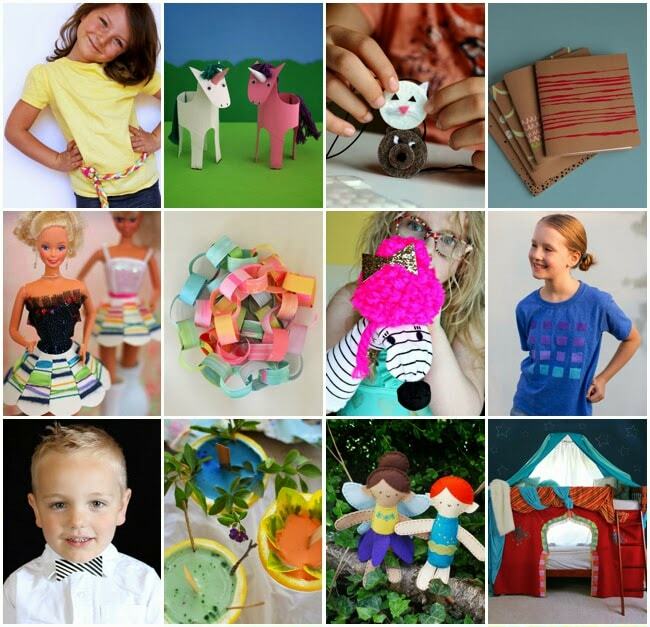 The craft ideas are fun, unique, and perfect for sparking creativity and imagination. I know you would like this book because you are already a fan of one of the awesome crafts it contains! 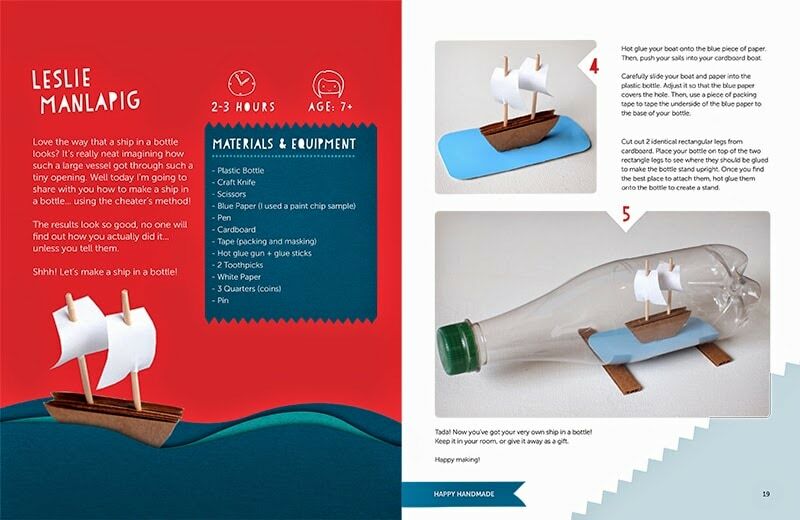 The price of the book is $12.99 which includes 115 pages of fun projects and free craft templates. You can buy the book from anywhere in the world. Payment is via Paypal, which will take care of currency conversions if needed. It is recommended that you download the book to a computer, and then share it with your mobile device if you want it on your phone too (for all those craft anywhere type of people :). You can use the book in digital form or print it off if you would like. Thanks for crafting with us today! Click here to sign up for our weekly newsletter and receive exclusive subscriber freebies. You can also catch us on Facebook, Pinterest, Twitter. This is ADORABLE! 🙂 i LOVE how you personalized it with stickers. Thanks for the review!